The U.S. housing market is poised for upheaval in the coming weeks, as regulators are expected to introduce a new set of rules. 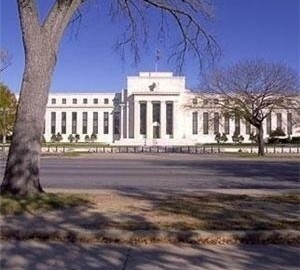 The Federal Reserve System has already announced that it will consider loosening standards for securities mortgages at a meeting on October 22, and the Wall Street Journal reports that both the Federal Deposit Insurance Corporation and the Securities and Exchange Commission will do the same before the end of the month. The updated regulations stem from the 2010 Dodd—Frank Wall Street Reform and Consumer Protection Act, and will only apply to securities. Most mortgages, which are backed by federal agencies like Fannie Mae and Freddie Mac, will not be affected. The total value of mortgage-backed securities is currently just $39 billion, compared to nearly $1.2 trillion in 2005. The new rules will make it easier for borrowers to obtain credit, while ensuring that relaxed standards don't lead to a repeat of the housing bubble by limiting monthly payments to a maximum of 43 percent of a borrower's salary. With the changes, regulators hope that private investors will be encouraged to re-enter the market. "The additional certainty will have a helpful impact at the margins, bringing some wary investors in from the sidelines and giving some of those already invested enough comfort to invest more aggressively," said Urban Institute fellow Jim Parrott. Overall, mortgage rates have fallen to an average of 4.2 percent, the lowest since June 2013, according to the Mortgage Bankers Association. Mortgage loan software can help both lenders and borrowers navigate regulatory changes by creating a real estate amortization schedule that will guarantee automatic and on-time installment payments.